Evolved from the Grey wolf thousands of years ago, today’s domesticated dogs are an extremely durable animal. Because his diet centered on raw meat and untreated water, the wolf and in turn undomesticated dog were equipped with many bacterial, fungal and other immunities today’s humans (and pets) lack. Even so, many plants we are familiar with today weren’t native to their northern environment, and through countless centuries they had learned to avoid the dangerous plants that were. As man continues to introduce foreign plants (and the insects they bring with them) to an environment unaccustomed to them, problems inevitably result, sometimes causing drastic damage to the unfamiliar ecosystem. Author’s Note: Though their are of course differences, a dog’s physiology is strikingly similar to a human’s (closer than most would think). We have the same anatomical systems, our bodies secrete many of the exact same hormones for the same reasons, and- for the purposes of this article- our gastrointestinal systems operate in almost the exact same fashion. That being said, the majority of the plants listed below would have nearly the same effect on humans. Of course adults have the common sense not to consume an unknown house plant (hopefully), but the danger rests in small children. In 35 years as an interior plantscape industry, Deeper Green has never heard of an issue with a pet eating and dying from these commonly used interior plants. We advise parents of infants, puppies and kittens and other pets, to take the responsibility to create safe, plant free indoor play areas for kids and pets. Most of us have heard of Aloe vera, especially since it is marketed worldwide for its’ skin care properties. Aloe vera grows wild in tropical climates around the world, cultivated for its’ agricultural and medical uses. The Aloe Plant is just as commonly found as a decorative centerpiece in houses over the world, grown successfully as an indoor plant. On the other hand, consumption can lead to vomiting, lethargy, diarrhea, and in some cases- even reddish urine. The name might resemble something edible, but the Asparagus Fern is anything but. Sapogenin, a steroid found in a variety of plants, causes uncomfortable symptoms for dogs and cats. If the berries of this plant are ingested, you can expect vomiting, diarrhea, and general GI pain. Allergic dermatitis (skin inflammation caused by an allergy) can develop with repeated exposure. Sapogenins fall into portions of a family of natural products called Sopanins. Interestingly enough, methods have been developed to convert this substance into progesterone, in turn used to produce other steroidal hormones. A similar group of steroid compounds have been associated with a certain toad’s venom. Yet another offender containing Sopanins, Corn Plants can cause vomiting, appetite loss, hyper-salivation and general GI upset in both dogs and cats. Unfortunately for our pets, Corn Plants are considered an ideal houseplant and very easy to care for. It is said to be one of the best indoor plants to remove indoor air toxins and pollutants from the air (as long as pets stay away). Also known as dumb cane, tropic snow or exotic, Dieffenbachia contains a poisonous chemical deterrent to animals. If ingested, it causes ‘oral irritation’ which can lead to swelling, difficulty swallowing and vomiting. A tropical plant native to the Mexico and the West Indies south to Argentina, Dieffenbachia is yet another easy to grow and common household plant. Lush leaves usually marked in shades of cream, yellow, or white, it is one of the more attractive plants on this list. Dieffenbachia is also another that comes with the common warning ‘Keep away from small children and pets’. Even more beautiful than Dieffenbachia above, deep/bright pinkish purple markings make these plants highly popular for their bold tropical effect and ‘elephant ear’ shape, as well as their simplicity. Unfortunately, as with so many other brightly colored things in nature, the aspect stands as a warning not to ingest. Oral irritation, intense burning of the mouth, lips and tongue, excessive drooling, vomiting and difficulty swallowing lie among symptoms to be expected if eaten. Interestingly enough, the toxic component- Calcium oxalate crystals, a calcium salt of oxalic acid – is both a component of human kidney stones and the formation of is one of the toxic effects of ethylene glycol poisoning. Yet another common and easy to grow household plant, the Heartleaf has dark green and shiny heart shaped leaves, making it great as a table centerpiece or hanging plant, and it can even be trained as vines. Thriving on neglect and almost impossible to kill, the Heartleaf Philodendrons are some of the most popular plants for indoor and office use. Unfortunately, symptoms if ingested can include oral irritation, painful swelling of the mouth, tongue and lips, excessive drooling, vomiting, and difficulty swallowing. No one can dispute the breathtaking beauty these plants have to offer! On the other hand, as with the general rule of thumb stated above, the Spathiphyllum’s beauty is only matched by its’ danger. Vomiting, salivation, and diarrhea even leading to convulsions, low blood pressure, tremors and cardiac arrhythmias can result from ingestion. One of the most common groups of flowers here, Spathiphyllum are also one of the most lethal, possibly resulting in seizures, coma, kidney failure and death. May Cause Death! Popular for its’ low maintenance needs, the Philodendron is native to tropical rainforests of southern Mexico to southern Colombia. It has, in recent history, been introduced to several new tropical habitats and is becoming mildly invasive in some. You may have seen it climb the bark of tree trunks and outward along branches. If your pet somehow encounters the Philodendron and decides to make a meal of it, Oral irritation, pain and swelling of mouth, tongue and lips, excessive drooling, vomiting, and difficulty swallowing are among side effects he/she will have the misfortune of experiencing. We’ve all heard the famous Christmas traditions encircling the Poinsettia. As a commercially important plant indigenous to Mexico and well known for its’ red and green foliage, the Poinsetta is commonly used in Christmas floral displays, or possibly ‘hung from the roof with care’. Though the plant’s true toxicity is generally overrated, ingestion can cause mouth irritation, upset stomach, and sometimes vomiting. Though the exact cause is unknown, this smooth & shiny plant carries a nasty bite if ingested. Possible results include vomiting, depression, ataxia (incoordination) and bradycardia (slow heart rate). Native to South Africa and Mozambique, the Jade Plant’s small pink/white flowers and unique leafy appearance make it common as a houseplant worldwide. Both simple to grow and considered good luck, the Jade Plant can be commonly seen in homes and offices across the globe. Known for its’ gorgeous satiny grey-green leaves, Satin Pothos is yet another household favorite and just happens to be very easy to grow, the Satin Pothos is quickly gaining enormous attention. Of course, eating it certainly isn’t recommended. Oral irritation, pain and swelling of mouth, tongue and lips, excessive drooling, vomiting and difficulty swallowing are among possible outcomes. An absolutely breathtaking pink/red flowering plant, Cyclamen can cause symptoms ranging from salivation, vomiting and diarrhea all the way to seizures, abnormal heart rhythms and death due to large consumption. 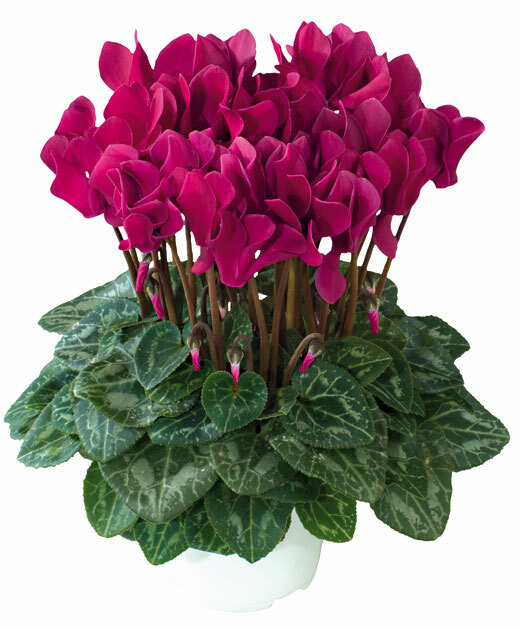 Native to Europe and the Mediterranean Basin east to Iran, Cyclamen’s vibrant flowers and interesting leaves make it an enormously popular houseplant. Following the general rule of thumb, Cyclamen’s beauty is matched by its’ lethality. Specific focus is placed upon this herb not because it is especially dangerous (as compared to the other lethal plants among this list), but because it is heavily ‘mis-advertised’ as beneficial for animals- especially as it is becoming legalized across the United States. Because it is such a popular herbal drug, entrepreneurs often attempt to mislead pet owners as to its’ benefits. Where as CBD has shown beneficial results in many cases, marijuana herb ingestion is causing far more harm than good among pets on a national scale. Before investing in an animal based marijuana product, consult a holistic vet who is knowledgeable about CBD specifically formulated for dogs and cats, otherwise you may find yourself getting bad information from people and companies who stand to gain from your purchase and don’t really care about the health and well being of your beloved dog or cat. For animals, symptoms vary from prolonged depression, vomiting, in-coordination, sleepiness or excitation, hyper-salivation, dilated pupils, low blood pressure, low body temperature, seizure, coma, and death. In the past, death was rare due to the rarity of the drug among pet owners and difficulty for animals to acquire. Today, Medical Marijuana is vastly more common; more and more cases of pets overdosing are being reported by pet emergency and animal hospitals. The impact on pets varies according to the amount ingested and weight/body size. Best recognized for its’ pizza flavoring, Oregano is high in antioxidants and believed to have microbial properties. Historically, Oregano has been used to help with digestive problems, diarrhea, and gas. The oil of Oregano has also been shown to present with antifungal properties. In fact, there exist ‘Oil of Oregano’ drops manufactured especially for pets! What plant enthusiast hasn’t heard of Rosemary? High in iron, calcium, and Vitamin B6, no one can deny the beneficial properties of this antioxidant-rich plant. Historically used to soothe upset stomachs, reduce gas and cure nausea, this aromatic herb may even help combat radiation effects of animals undergoing cancer treatment. Although it is very uncommon, extremely high doses carry the potential to cause liver and kidney problems. Commonly known for its’ delicious role in Pesto, Basil is believed to have antioxidant, antimicrobial, and antiviral properties all rolled into one. Consider sprinkling a bit of Basil in with your pet’s kibble next time you are cooking! Commonly seen as a garnish, Parsley is another source high in antioxidants and vitamins. In fact, Parsley has a long history of use with dogs, often added to dog treats as a breath freshener or used to soothe the stomach. It is always advisable to contact your veterinarian or poison control hotline before anything else. In many cases, time being crucial, you will be advised to induce vomiting prior to bringing in your pet for emergency care (for example, this is what you will be told to do in the case of baking chocolate/cocoa consumption). You can do this by forcing your pet to swallow (they of course won’t do this willingly) approximately one teaspoon of hydrogen peroxide for every 10 pounds of body-weight. However, be sure to contact a medical professional before taking action into your own hands! Some substances can cause additional harm if vomited.